Selecting emeralds is hard. At Astrological Gem, we have found that it is by far the most difficult purchase of any Vedic gemstone. Becoming an expert on selecting these stones is imperative to our business and has only been achieved through examination of not hundreds but thousands of stones from all over the world. I have spent years evaluating Emeralds and yet I still find some that surprise me. I see a stone that is so exciting to the naked eye, even with careful examination it looks great. Then, I put it under a microscope and see a carefully concealed fissure running right up the corner. A fissure that is placed so inconspicuously and yet so dangerously close to a stress point that someone could be walking with it set in a stunning ring, then, with the slightest bump, it goes from a small fissure to a huge fissure. Eventually, you have two smaller stones instead of one beautiful one. Emeralds are a Type 3 Gemstone, meaning that they always possess some inclusions in them due to the way they are formed in the Earth. Most emeralds on the market are so included they are completely opaque, which means no light can pass through them at all. For a stone to be effective for astrology, its inclusions need to be very insignificant and they need to allow light to pass through the gem material. Some small fissures and clear crystals are acceptable. Significant cracks and black spots are not. Clear emeralds with insignificant inclusions are known as “crystal” material. Many decades ago, the industry figured out that soaking the stones in oil would reduce the visibility of the fissures, allowing the light to travel through them with little disturbance. Oil makes the stone appear more brilliant, lively, and appealing, but can mask many of the durability issues. Untreated emeralds represent less than one percent of the current market. They are virtually unavailable, but once in a while we are able to source them and they are very powerful for astrology when they are the proper clarity. 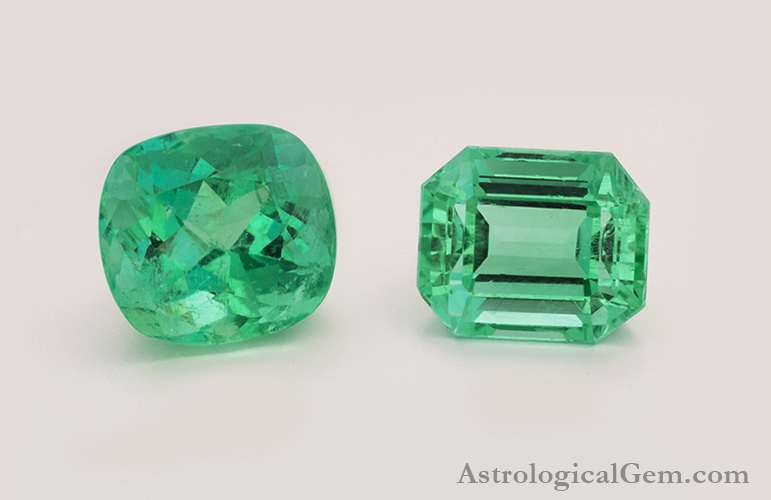 It is not necessary to purchase an unoiled emerald as long as the stone is clean and stable. Today, the oil resins used are so good it is very hard to distinguish how much treatment a stone may have. Only an emerald dealer or gemologist with lots of experience working with emeralds is able to properly evaluate the amount of treatment in a stone. A heavily treated stone means it is not as structurally sound as a high quality stone with very little treatment. Heavily treated stones are not appropriate for astrology. A lightly treated stone is perfectly acceptable for astrology as the light passing through the stone will still be even and lively. Selecting stones for our business is not something that happens by placing a phone call. It happens through hours of sorting and analyzing, and then re-analyzing. All of this so we can be sure the stone has the highest level of durability, clarity, energy, and beauty for our customers. 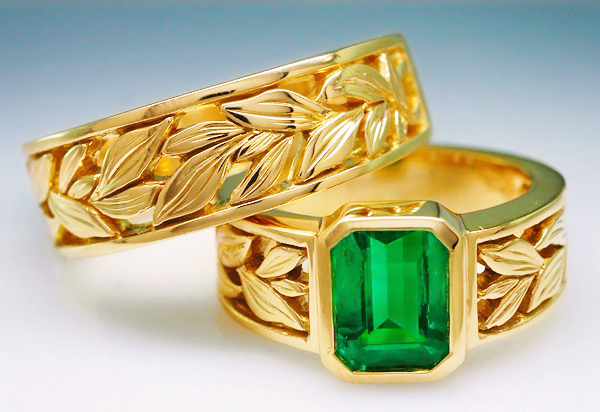 Wearing an Emerald gemstone is believed to beget an individual prosperity along with recognition and good name. It is believed to aid emotional healing and therefore progress at a soul level. It is also said to spark creativity.